Create your own DIY Jewelry and Trinket Tray, using simple items you may even have at home… such a fun and easy craft idea! 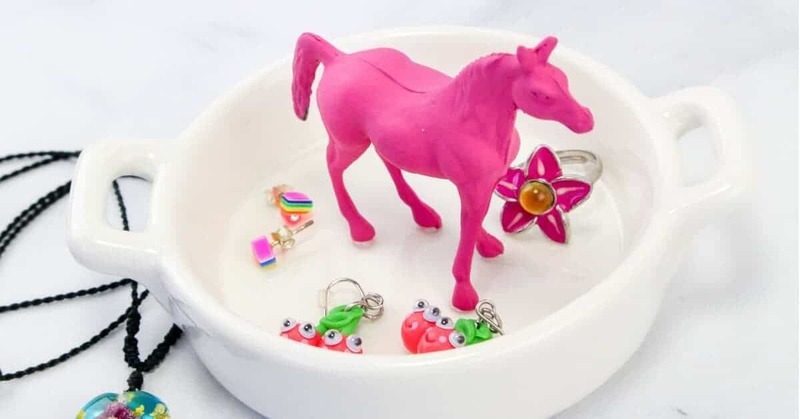 This trinket tray is the perfect place for a little girl’s rings, coins, keys, and other little items! 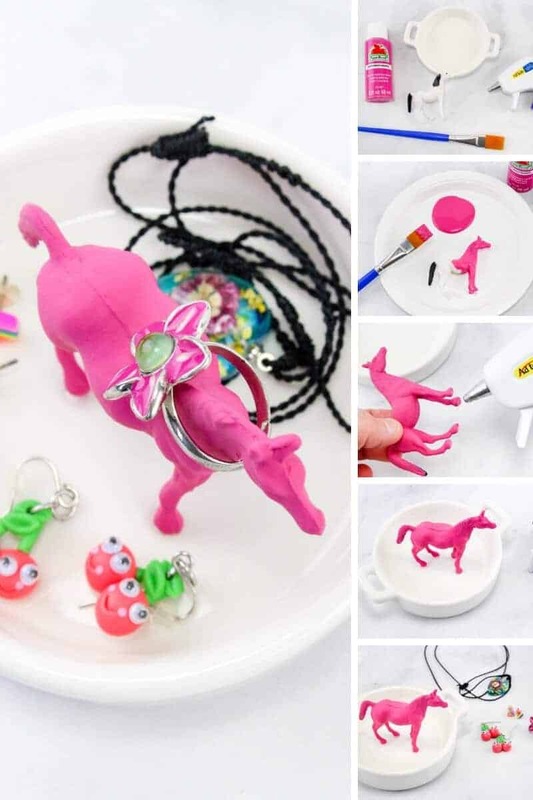 So I thought I would show you how to make a really cute & easy jewelry tray by using a small plastic toy and some acrylic paint, you can customize and personalize yours by using any plastic toy you like, and you’re favorite color. 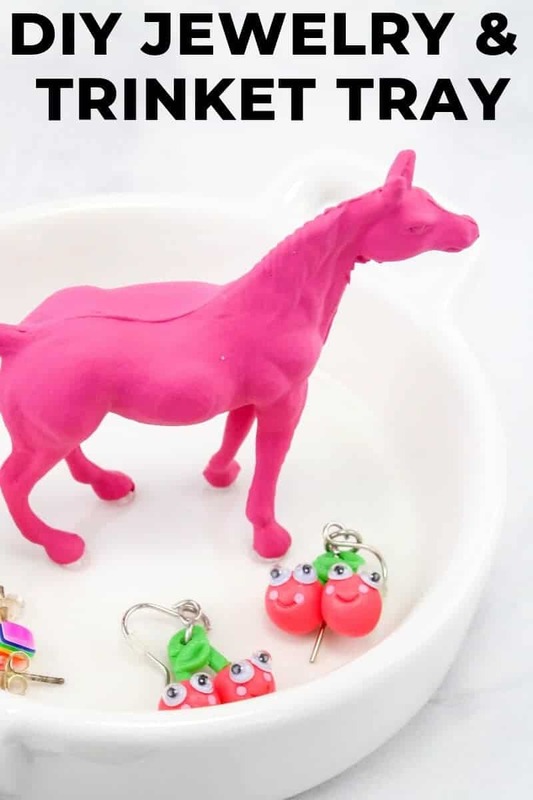 Paint the horse with the pink paint. Let dry and repeat process again to get a good coat on it. Let dry. Add hot glue to the bottom of the feet and place in the middle of the dish. Hold for a few seconds then let dry completely. Add rings, earrings, necklaces, or any trinkets you wish. How fun is this?! I can’t wait to see what you guys come up with! If you liked this DIY Jewelry and Trinket Tray, please share it on Pinterest!